Welcome to the Inn at Shasta Lake’s local attractions section. If you are interested in learning more about the many things to do in and around our B&B, just check out some of the posts listed in this section. 2.5 hours from Medford Oregon. exit I-5 at exit 695, O’Brien and Shasta Caverns. At the bottom of the exit ramp, turn right, look for the sign and the first paved driveway on the left. exit I-5 at exit 695, O’Brien and Shasta Caverns. At the bottom of the exit ramp, turn left, look for the sign and the first paved driveway on your left. *Please note that not all GPSs locate the Inn correctly. We are less than one half mile off of I-5, approximately 15 miles north of Redding California. All eleven of our luxurious guest rooms, welcome you to an unforgettable experience. Rest, relax and let your cares melt away. Enjoy all the amenities and comforts of luxury hotel in a woodsy setting. Each room feels as if it has been prepared with you in mind. 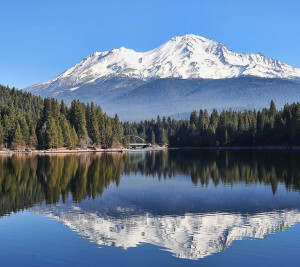 The memory of a stay at the Inn at Shasta Lake promises to last a lifetime. Each room at the Inn at Shasta Lake is individually designed and styled, offering a unique experience for each guest. All rooms have wood or bamboo floors. 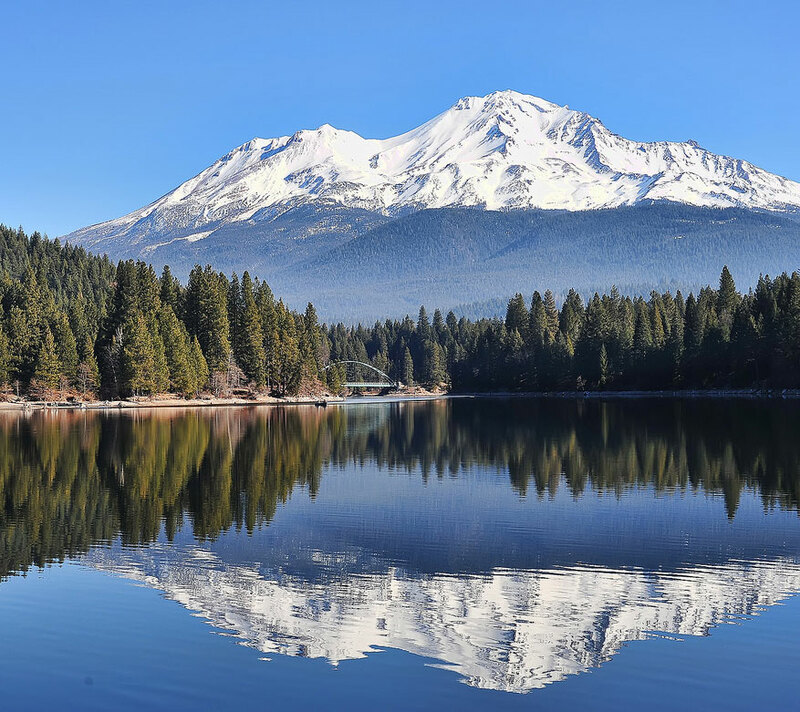 The rooms are named after flora and fauna that we often see at the Inn.Our rooms are spread out on over sixty acres within the Shasta Trinity National Forest. The Oak Building has four rooms located on two floors. Many rooms overlook the formal garden with inviting gazebo. Directly across the lawn is the Pine Building. The Pine building has five suites located on two floors. The Pine building also has the common rooms: living room, dining area, and deck. And in addition we have two cottages. The Acorn Cottage offers privacy, with it’s own driveway, located down a staircase from the Pine Building. The Acorn Cottage is petite but features a private location with a large front deck. Spa tub and shower. Queen size bed. Gas fireplace. Compact microwave and refrigerator. Pet friendly. The Pinecone Treehouse sits up on stilts set in the majestic pines. The treehouse offers a private balcony. King size bed and separate sitting area. Spa tub and walk in shower. Two sided gas fireplace. Compact microwave and refrigerator. Pet friendly.